The Centella Weight Loss and Wellbeing Tonic helps accelerate weight loss and effectively decreases sugar cravings. 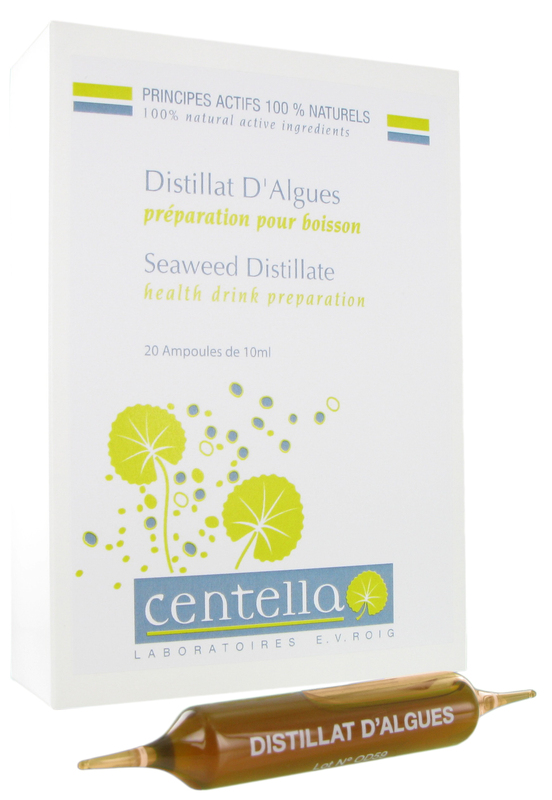 Seaweed distillate reduces the occurrence of fat and cellulite throughout the body, increases circulation and improves vasodilation. The botanical extracts within this distillate restore digestive health and balance while increasing your body’s natural ability to burn and consume fat during periods of physical exertion. Nutrient rich LaminariaDigitata provides the skin with replenishment and encourages natural detoxification while also increasing metabolism and enhancing the body’s ability to lose weight. Iodine, iron, magnesium, potassium and calcium provide regenerative support to ageing and damaged cells, enhancing the natural capacity of the cellular bodies to function at their peak.